WEDNESDAY, March 21, 2018 (HealthDay News) -- Smartwatches already can help you track your heart rate. Someday they may also help detect a serious heart rhythm irregularity known as atrial fibrillation, new research suggests. "Atrial fibrillation is the most common heart rhythm disturbance in the world," said study lead author Dr. Gregory Marcus. With atrial fibrillation, "the top chambers of the heart, called the atria, are firing in a completely chaotic, disorganized and rapid fashion." The resulting fast and irregular pulse may cause palpitations, feeling faint, feeling out of breath and feeling fatigued, said Marcus, a heart specialist at the University of California, San Francisco. Atrial fibrillation is also a leading cause of blood clots and stroke, he said. "Importantly, however, some patients may not feel the rhythm disturbance at all," he noted. Earlier detection would enable people to start taking blood-thinning medications to reduce their risk of stroke, the researchers said. In this new "proof of concept" study, Marcus and his colleagues assessed the accuracy of a screening app designed to work on the Apple Watch. "Our overall hope is to leverage the growing use of smartwatches to help detect atrial fibrillation without any extra effort on the part of the user," Marcus said. The study was partially funded by a grant from San Francisco-based Cardiogram Inc., maker of the app used in the study. Other sponsors included the U.S. National Institutes of Health; the Patient-Centered Outcomes Research Institute; the medical technology company Medtronic; and the consumer technology company Jawbone. The study team estimated that 34 million people globally have atrial fibrillation, raising their risk for stroke, heart failure and early death. That includes roughly 2.7 million Americans, according to the American Heart Association. Today, atrial fibrillation is screened by electrocardiogram (ECG) at a health care facility. But the study researchers wondered if the heart rate sensors in smartwatches and fitness trackers could also do the job. To answer that question, they focused on 9,750 adult patients (average age 42) enrolled in the Health eHeart Study. 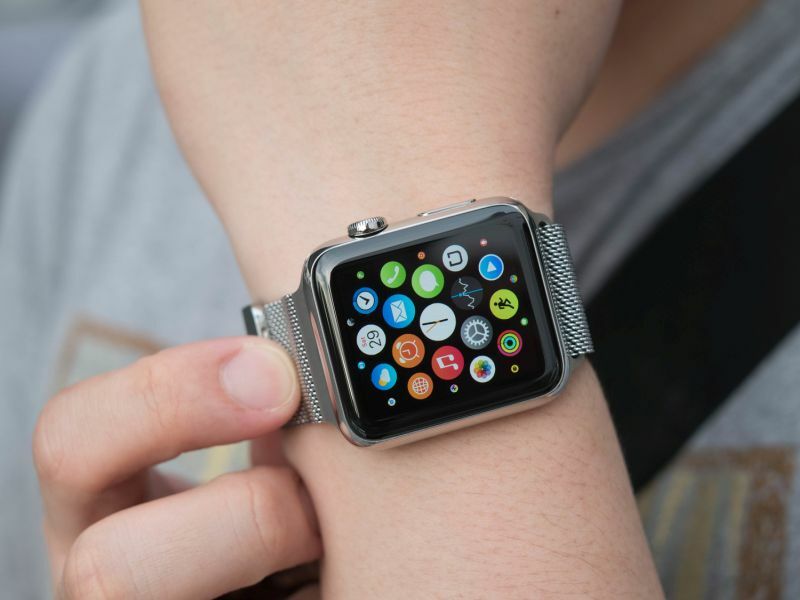 Nearly 350 indicated they had atrial fibrillation, and all owned an Apple Watch, which routinely collects a user's heart-rate and step-count data. These patients provided more than 139 million measurements of heart rates and step counts to "train" the app to identify distinct heart rhythm patterns. Accuracy of the heart-smart app was then tested among two groups: 51 atrial fibrillation patients undergoing so-called cardioversion treatment and another 1,600 mobile patients with persistent atrial fibrillation. Compared with standard ECG results, the app's ability to detect the irregular heart rhythm was "very accurate" in the cardioversion group and "moderately accurate" for the persistent arrhythmia patients, Marcus said. Patients "need not be tech-savvy at all" to use the app, Marcus said. But he acknowledged that "the algorithm needs to be refined before it is widely deployed." In its current form, the atrial fibrillation app shouldn't be considered a substitute for medical testing, he said. "In the short-term, the hope is that these devices might help us screen for this important disease, which would still then need to be confirmed by more conventional testing," Marcus explained. The findings were published online March 21 in JAMA Cardiology. Dr. Mintu Turakhia, author of an accompanying journal editorial, seconded that cautionary stance. "What this study teaches us is that the specific algorithm used may be useful to identify potential irregular heart rhythms," said Turakhia, executive director for Stanford University's Center for Digital Health. "We are not at the point where we can establish firm diagnoses, or make treatment decisions based on this algorithm." Any potential findings still need to be confirmed with a gold standard test like an ECG, added Turakhia. However, "the field will mature as other algorithms and smart bands are developed and tested," he said.